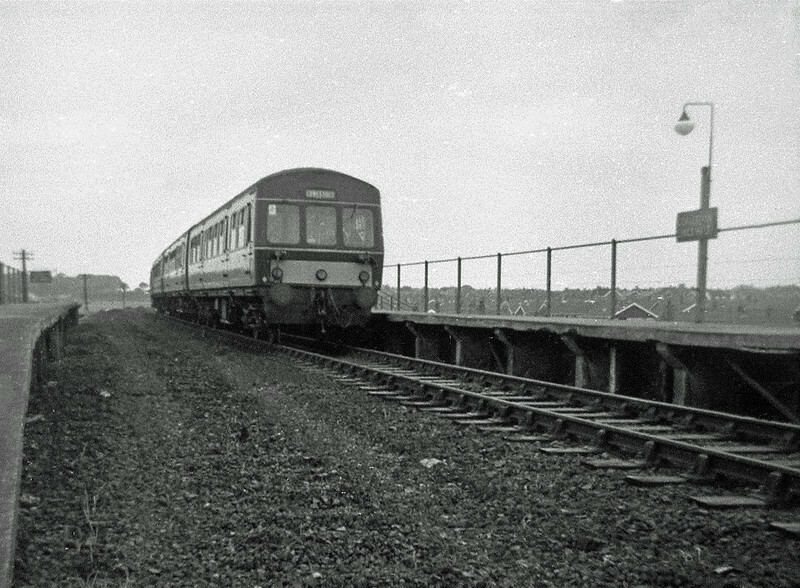 Metro Cammel dmu at Gorleston Links halt on a Lowestoft working.22nd June 1968. The station was opened in July 1914 to serve Gorleston Golf Club. It was located on the north side of Links Road and was constructed of concrete. The station closed on 2nd May 1970. No trace remains, houses now occupy the site.